Karthik is just 15 yrs old. he was brutally attacked during the Chennai Marina protest last day (when that aweful attack on students was unleashed). His left eye was damaged severely and his brother carried him on his shoulder and rushed to nearby govt hospital. 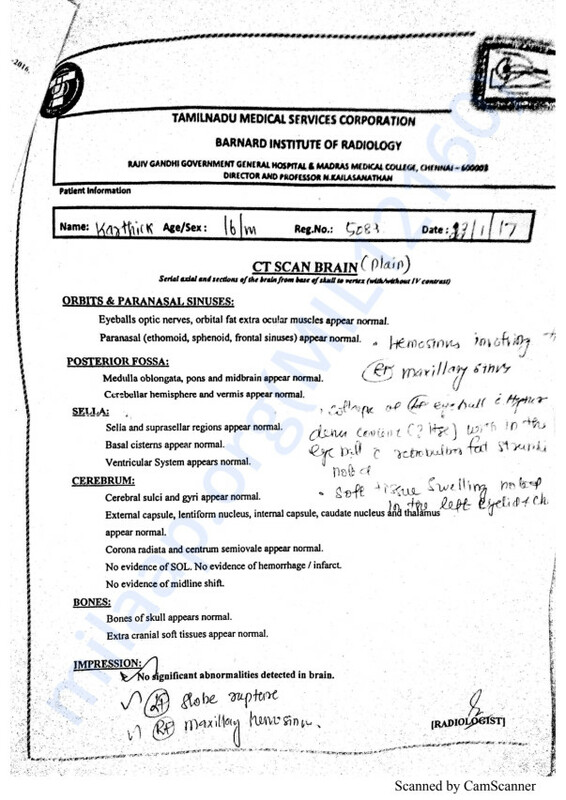 The doctors there told him that his left was too damaged to repair and the had the operate not to restore the eye sight but to tie the severely damaged nerves and tissues. Nadukuppam area got the media attention and get some considerable help from many sources but Karthik belongs to another area called Rottery nagar nearby nadukuppam. 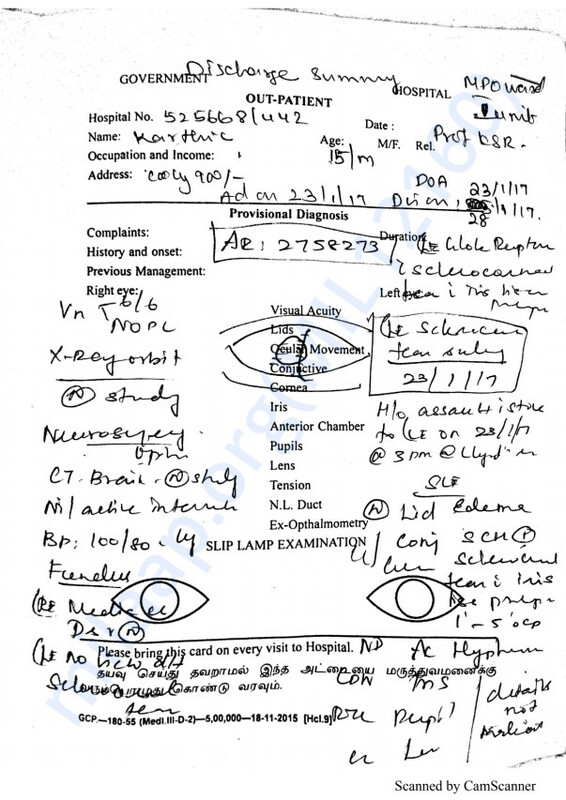 We tried through someother medical groups to see if there is any possibility to restore his eyesight but the chances are almost nil. There may be some legal ways to fight and get govt help but im not expert on that and i leave it open to anyone who wants to try. We are trying to provide some humanetarian help to Karthik and his family. He has discontinued his studies few years back and seems to be not at all interested. He has been doing minor repairs for bicycles and bikes and making a living till then. When asked what kind of help they wish to get, their answer,after lot of thought, is to open some store for continuous income and support. SO that is what we are going to help them with. To setup a neighborhood grocery store for them. The advance for the shop and stock cost all together comes to Rs 2,50,000. Karthik's loss is huge and its a shame that they didn't receive any compensation they deserve. Let us contribute whatever we can and help this family to realise their small dream despite this atrocious attack. We thank you all for coming forward and helping Karthik through your generous donations. Your donations will certainly help Karthik start making a living. However the donations here won't be sufficient to help him set up his shop hence we are clubbing these donations with the offline efforts and will transfer it to Karthik. Thank you once again for helping another human in need.